The Question Banks are prepared by various DIETS all over kerala and some schools from various districts in kerala. These questions will guide the students to a right direction and make confident to attend SSLC 2015 without any problem. Download LInks and given below. SSLC-2013 - Tips to prepare profile-diary-notice-letter etc. SSLC English - Unit V - Balthazar's Marvellous Afternoon - Summary SSLC English - Unit I - Father's Help,Games at Twilight and The Blue Bouquet - Possible questions and answers SSLC English - Unit IV Chapter 3 Cactus - Questions and Answers SSLC English - Interpreting Italo Calvino's "The Man who Shouted Teresa"
'TEA-SHOPS IN MALAYALAM CINEMA' SLIDESHOW WITH MOV... More Helpfull documents from sahapaadi. The pdf is attached in google Doc These are the study materials collected from various websites and Documents. There may be missing links or non downloadable content. If any thing found unusual please Report All the errors. 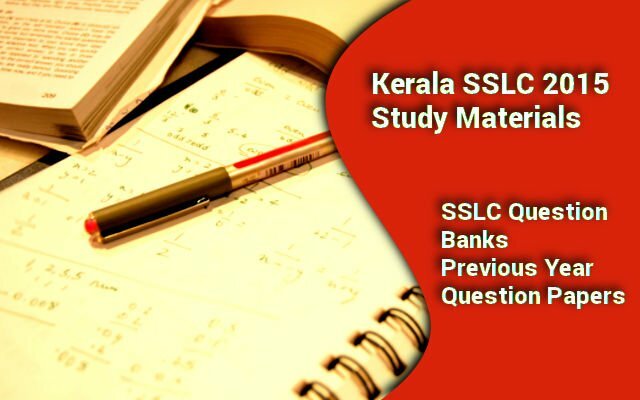 Download Study materials for SSLC 2015 Examination.